Friday night is here again. Pioneer Woman’s Chicken Pot Pie for dinner, followed by How to Train Your Dragon. The girls sprawl on the floor, sharing the dog’s bed. I sit in a chair, heat on my neck, fighting off a wicked head ache. I reply to intermittent texts from my beloved. We are now on the same soil. Tomorrow morning, Lord willing, I will hold him in my arms again. And we all give thanks for this time and this opportunity and we give thanks that tomorrow he will be ours again. And I wonder tonight at the changes that may be in store, at what God has done in my husband’s heart and mind these past nine days. I await, with eager anticipation, to see him, to hold him, to talk to him, about all the Lord has done. That’s awesome Matt to go. I’m sure it was & will be life-changing. For everyone I know that goes, it definitely is. 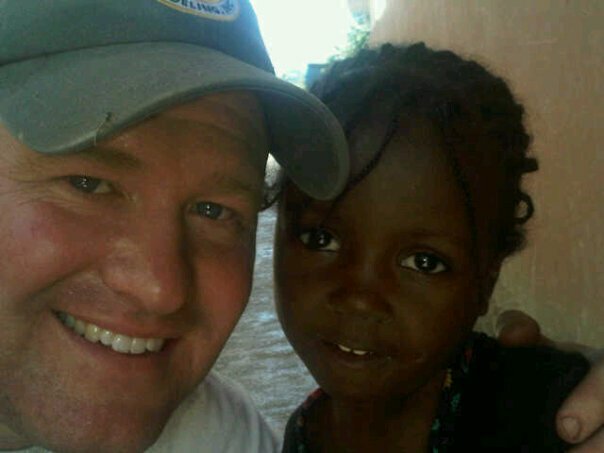 I have three friends right now who have children from Haiti that they are waiting to bring them home. All from the same orphanage. Two couples are going next week to visit them, and hopefully make their home-coming closer. Look forward to having them in our community here soon. Look forward to hearing some stories of Matt’s too, and his time there! Happy home-coming & re-uniting tomorrow!!! !